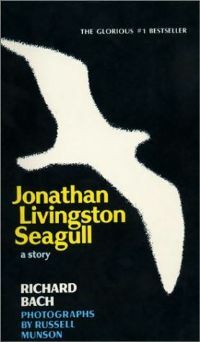 My parents had a copy of Jonathan Livingston Seagull on the shelf when I was a small child, but like their copy of the Dao De Jing, I couldn’t make much out of it then. 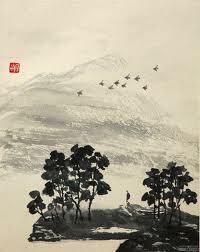 Now that I have studied and taught Asian philosophy, I can see connections to many points made by the Daoist Zhuangzi, my favorite Chinese philosopher. As the book opens, Jonathan practices slow flying by himself for no reason other than for the love of flying. He falters and falls, which is a disgrace for seagulls, who only fly for the purpose of food. His parents ask him why he flies and neglects eating, and he tells them he just wants to know what he is capable of. He learns many other skills alone, but when he returns to the flock, he is banished as an outcast. Alone, he learns to dive deep in the sea and far inland for better food, to fly for hundreds of miles while asleep, to fly above the mist and fog that grounds most gulls, and to free himself from boredom, fear and anger. While many ancient Chinese philosophers suggested various ways one could structure the state, as Laozi does in the Dao De Jing, Zhuangzi is entirely concerned with liberating the individual mind in a chaotic and close-minded world, to seek freedom and happiness through simplicity and open-mindedness. You can’t discuss the ocean with a well frog, limited by the space he lives in. You can’t discuss ice with a summer insect, bound to a single season. You can’t discuss the Way (Dao) with a cramped scholar, shackled by his doctrines. Now you have come out beyond your banks and borders and have seen the great sea, so you realize how small you are. From now on it will be possible to talk to you about the Way of things. There are many other relevant passages, but it is extraordinary how similar the beginnings of both texts are. I imagine it is not a coincidence. Bach’s story does resemble Zhuangzi’s, but I think he altered some of the ideas found directly from the Zhuangzi, like including the curiosity as a motive for moving. Would you recommend Bach’s story to a person interested in an extended analogy of Peng the Bird? I would indeed. It is a different idea, but certainly related and helps to expand the metaphor.